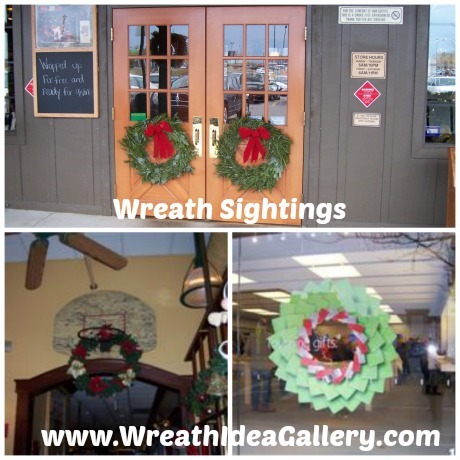 Here are some unique wreath sightings and wreath hanging ideas. 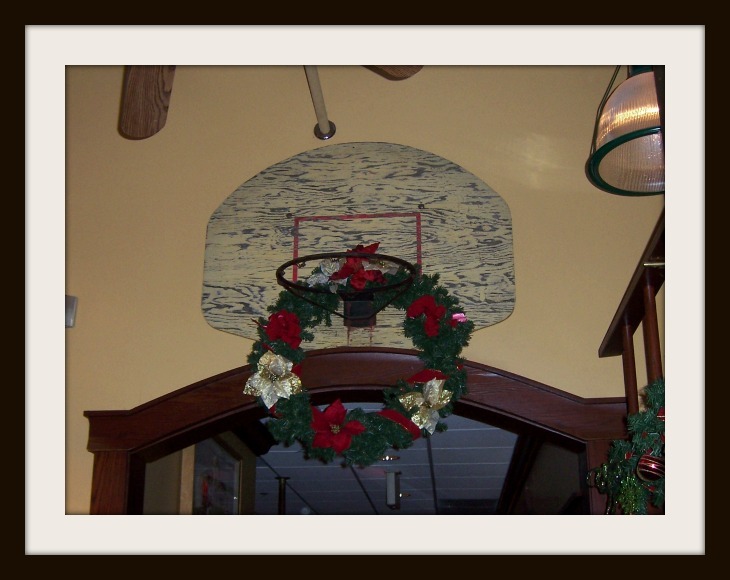 Wreath are not just for the front door enjoy some of the fun places these wreaths are hanging. 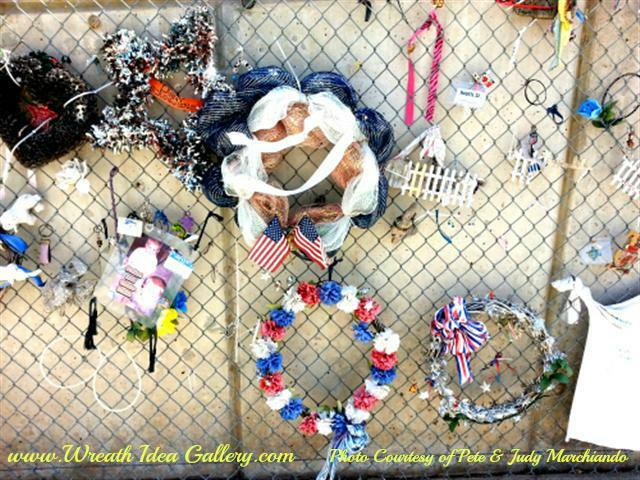 Other wreaths are hung to remember some very sad times. I wanted to share how beautiful my church was Easter morning. 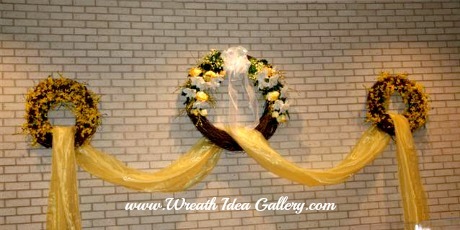 These beautiful yellow and white wreaths were a beautiful backdrop for our choir who sang wonderful praise music. 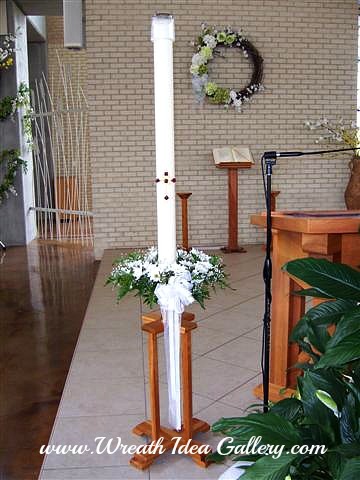 The Baptismal candle with a beautiful white daisy wreath. 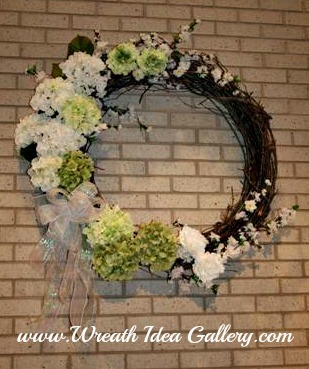 Two green and white hydrangea wreaths on a grapevine wreath forms made the perfect background on the alter. 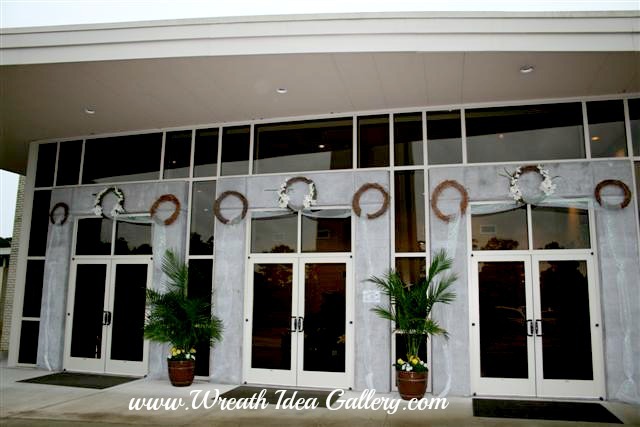 Even the entrance was decorated with simple grapevine wreaths. Pictures were taken at Christ Our Redeemer Catholic Church in Niceville, FL. 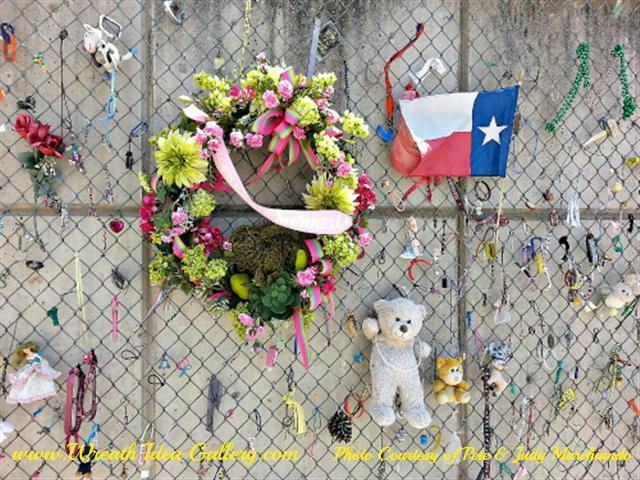 Originally the fence was erected to protect the site, but quickly became a place for people to leave items to remember loved ones. 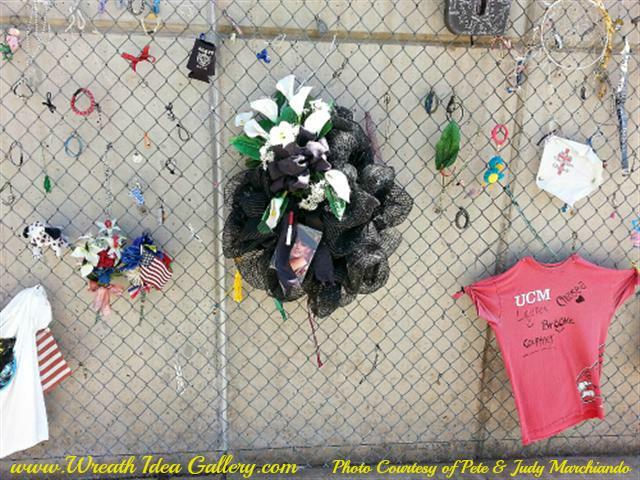 Find out more about the Oklahoma City National Memorial. Yes, this is Crackle Barrel, such an inviting entrance. 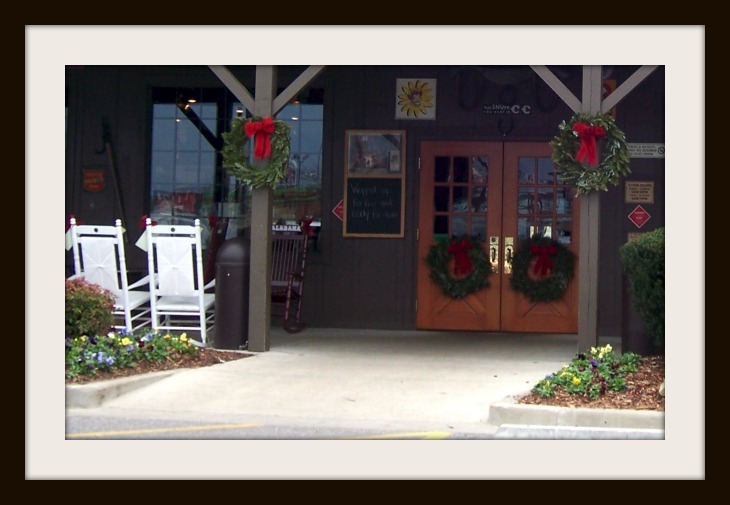 Live wreaths on the post and doors. Really gives it that natural home feel. This beautiful pink deco mesh was on a store front. Just beautiful it really caught your eye from the street. Deco mesh is great for outdoor decorating because it is pretty weather resistant at least for a season. Naperville Illinois is where I saw this and thought wow that is really neat. Made from mock green iPads and red and white iPhones. 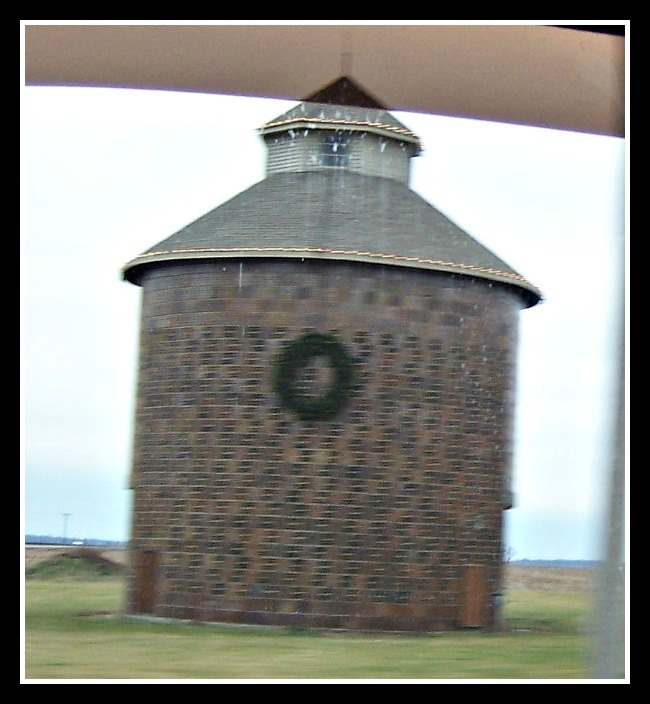 This cute barn was in southern Illinois. Yes, shot out the window. You know guys hard to get them to stop outside of food, gas or the bathroom. 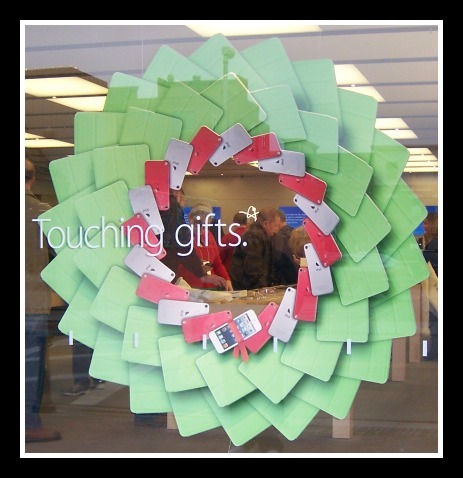 wreath sighting? Submit your picture for all to enjoy. These were hanging in Lou Malnati's a pizza place in Naperville, Illinois. 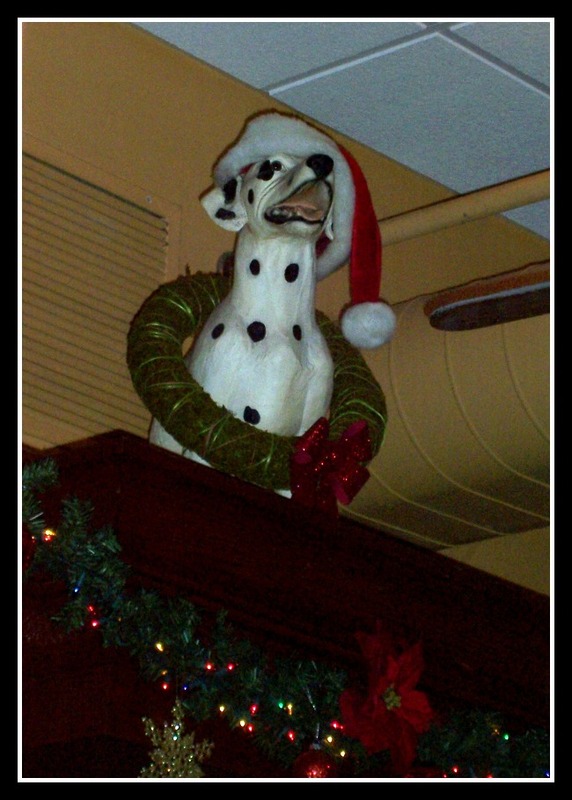 Loved the Christmas spirit and loved the pizza. Pizza is my favorite and they did not disappoint. 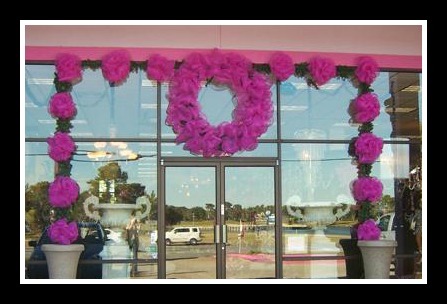 This just goes to show you, you can never have to many wreaths. Great Christmas spirit for all to enjoy. 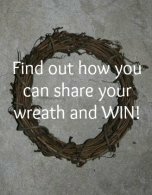 How many wreaths do you hang at Christmas?